Pod bathrooms were quite the thing to do in city centre apartment blocks a few years back and I can understand their appeal – easy to simply drop in and install for the developer & builder, controllable design, fewer on-site hiccups. However, everything which appears perfect always seems to have a price – in the case of pod bathrooms updating, refurbishing and replacing them can be a bit of a nightmare. 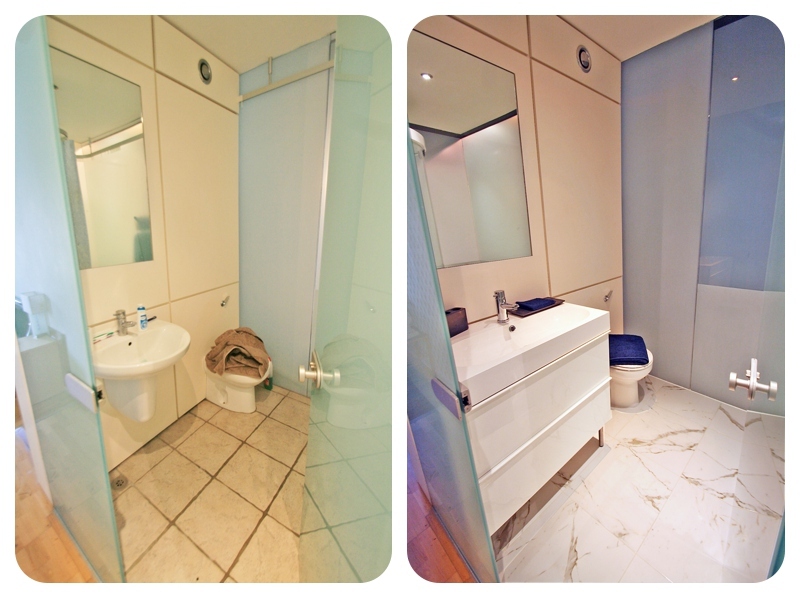 In a recent city centre job, the pod bathroom had toughened glass walls to 3 out of 4 sides. Inside it sat a pitifully small bath with a messy myriad of shower paraphernalia above. Because the bath and frame could not be fixed to the glass walls, water was constantly leaking down the silicone sealant on the edges (resulting in a rotten timber floor we had to replace), the bath was too small to be useful and the shower woefully inadequate. Specification was difficult. 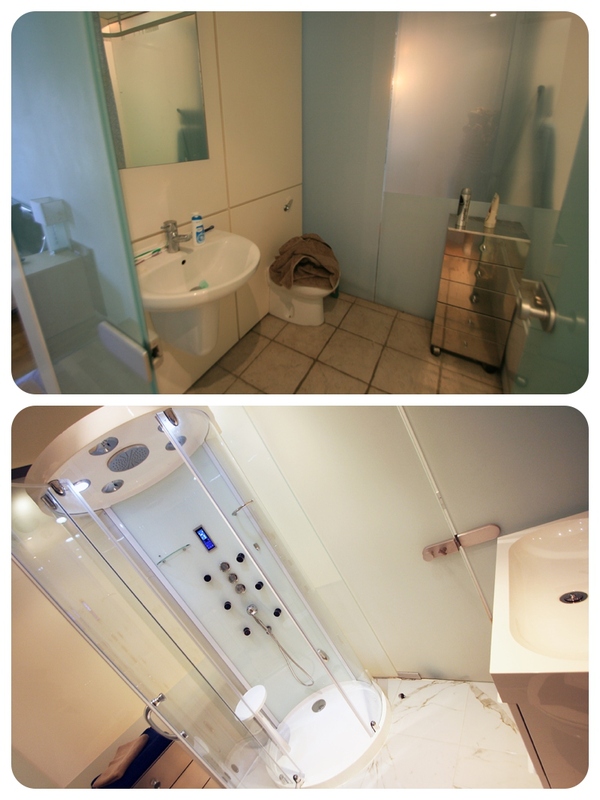 With glass walls, no shower unit could be fixed in place so any unit had to be freestanding and self-supporting. Plus access into the room was limited by a very narrow corridor so we could only manoeuvre certain sized panels into the room. 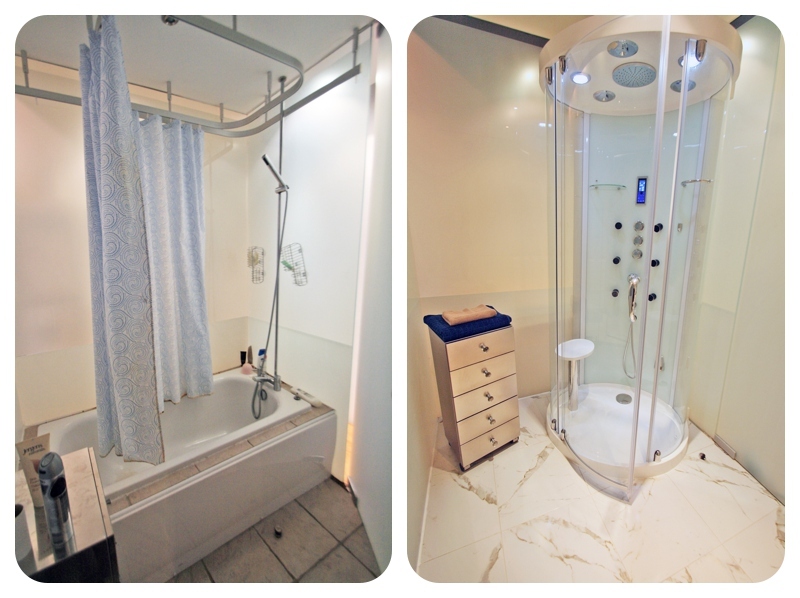 After much research and hunting for a solution, I cam up with a solution at Better Bathrooms – one of their steam shower units was the perfect size and shape for the space. The Calypso’s simple design & rear glass panel worked well in the room, with the steam option and music speakers providing a touch of luxury – perfect! We also changed the existing basin for a much larger one with accompanying storage, something the room was sorely in need of, and also updated the grubby floor with some fresh white, marble veined porcelain tiling.